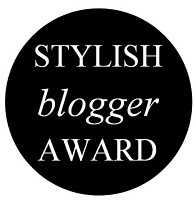 Huge thank you to the highly stylish Sea for this award. infatuated with the blonde girl. you deserve awards! well done.